Rio de Janeiro. BRAZIL. Gold Medalist. NZL M2-. Bow Eric MURRAY . 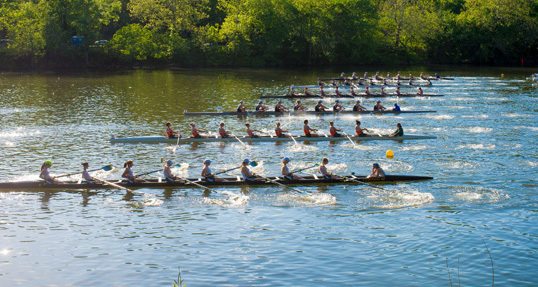 2016 Olympic Rowing Regatta. Photo by Peter Spurrier. There’s something to be said for going out on top. In April, Eric Murray, one half of the most successful partnership in rowing—arguably all of sport—announced he was making his post-Rio sabbatical permanent. At 34, the two-time Olympic gold medalist and bow seat of the Kiwi Pair could easily have continued on to Tokyo 2020 with partner Hamish Bond. Their 69-race win streak would have likely continued too. But for Murray, life outside the boat beckoned. “I’ve done everything I wanted to in sport,” Murray told the New Zealand website, Stuff. The good doctor plays movie critic. What do Rowing Australia and Manchester United have in common? How to maintain proper grip, on the approach and the drive.